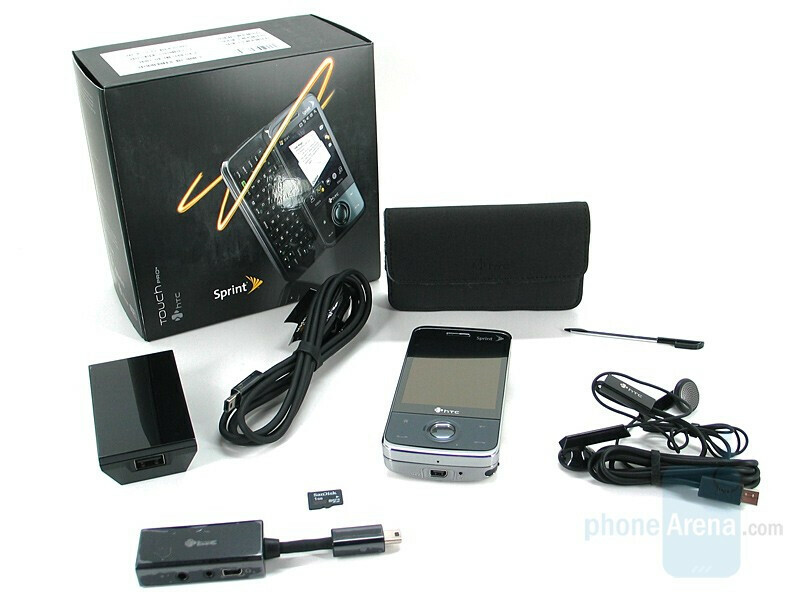 if you want to read the review of the Verizon version, please click here. 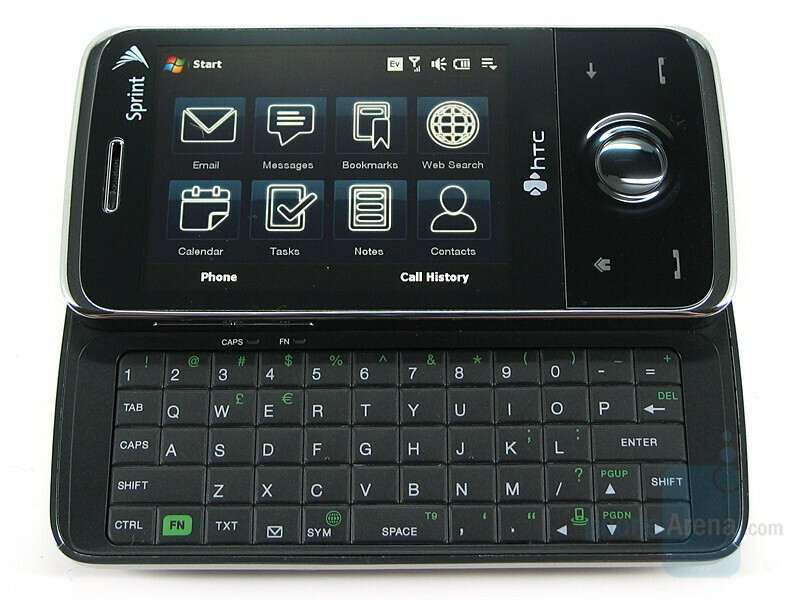 The Touch Diamond and HD may provide the eye candy in HTC’s 2008 lineup, but for business users the all important physical keypad is still usually a must. HTC has not forgotten their core customers, and the Touch Pro melds practicality with sexiness. 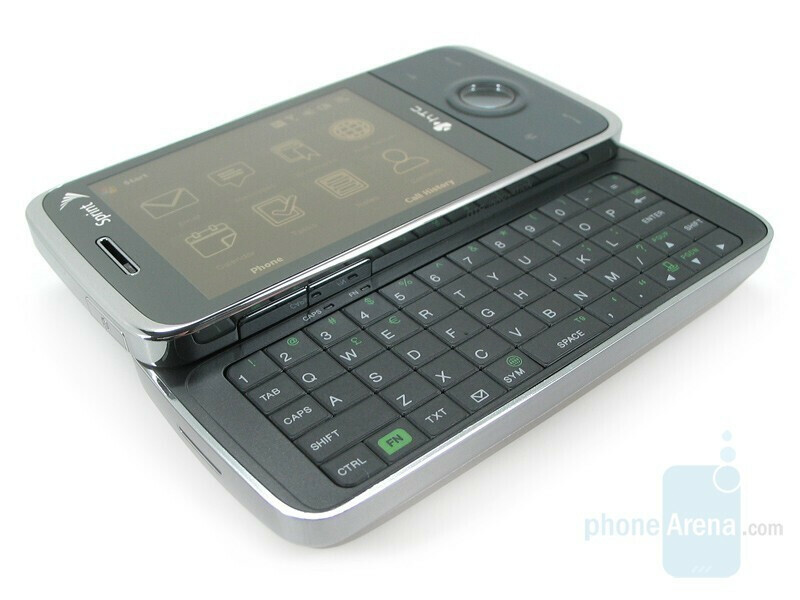 With the same basic design as the Diamond, the Pro fattens up a bit due to the full, side-sliding QWERTY keyboard. It also bumps productivity by doubling the ROM to 512MB. For those of you who loved the svelte Diamond but couldn’t part with their keys, the Pro is the device for you. Unlike the Diamond, the Pro stays fairly true to the design of its GSM brother, though it is noticeably brighter. 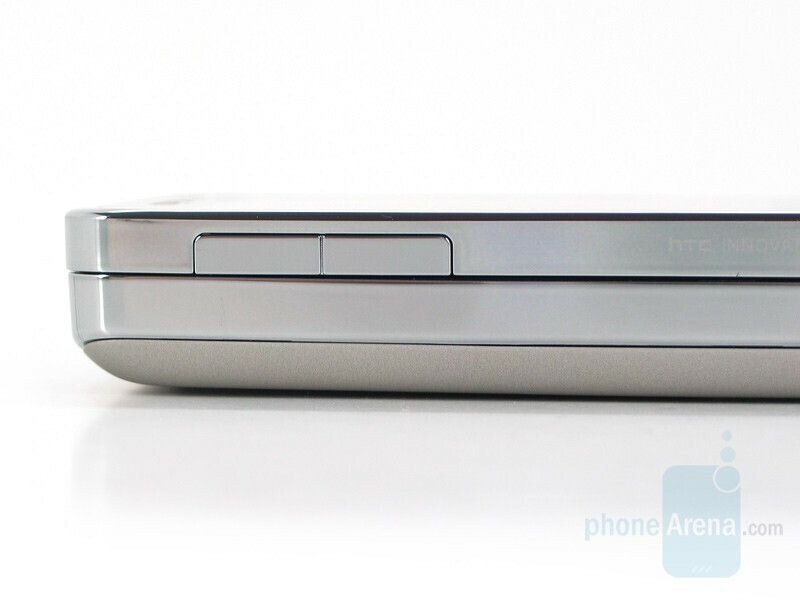 The dimensions are identical, and both ship with the 1350mAh battery found on the original Pro and CDMA Diamond. It is roughly the same thickness as the outgoing Mogul, but it slims down in both height and width for a much svelter look. You can compare the HTC Touch Pro CDMA with many other phones using our Size Visualization Tool. 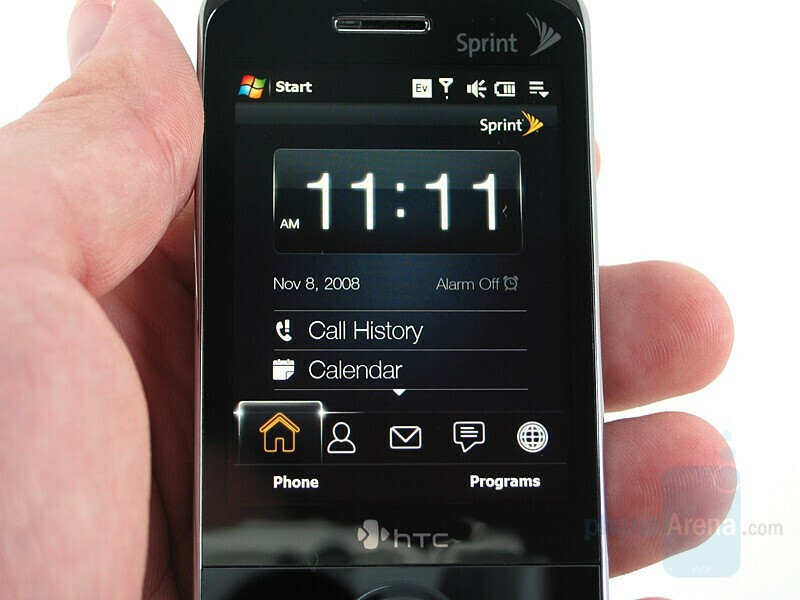 The biggest difference between the Sprint Pro and the original are the colors. Like the Diamond, the GSM Pro was very dark with black and gunmetal being prominent. 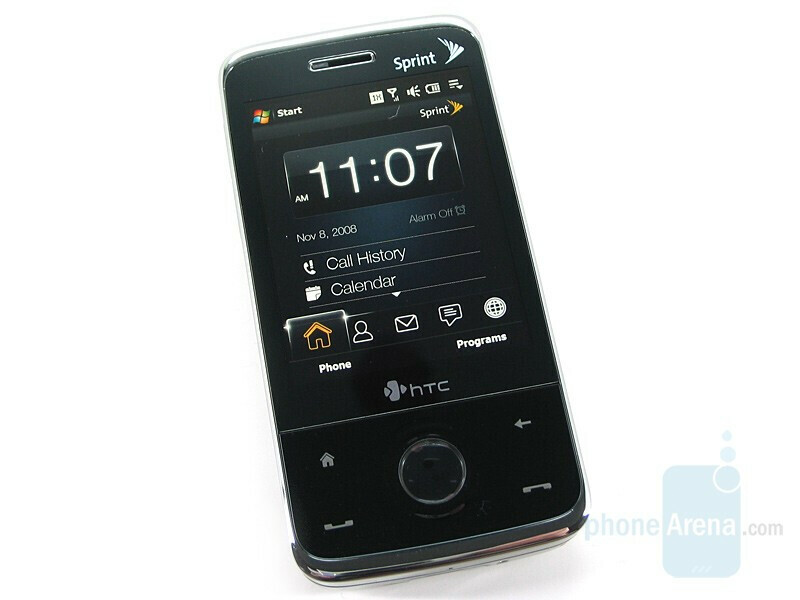 The Sprint Pro has retained the gunmetal face, but added chrome trim and a silver back housing. There are slight tweaks to the housing as well, such as the earpiece hole, but overall the devices look nearly identical. The resistive touchscreen appears to be the same gorgeous 2.8” VGA panel we loved the first time around. It is bright, vivid and auto-adjusts to the current lighting condition. It has only 65K colors, as compared to the 16M colors found on the iPhone, but images and videos look great nevertheless. It is very smooth responsive to touch, and most of the device can be navigated without using the stylus, which is tucked away in the back right corner. We had no issues viewing it in direct sunlight, provided the screen was wiped clean of fingerprints and whatnot. Below the display is the same button cluster found on the Diamond. They sit flush but are clickable, and the d-pad is a jack of all trades. It can be clicked in the traditional 5 ways, but the center is also proximity sensing and the outer edge can be used for touch scrolling. The four buttons (Home, Back, Send and End) as well as the d-pad ring light up a cool white when being used, or simply by bringing your finger near the center pad. 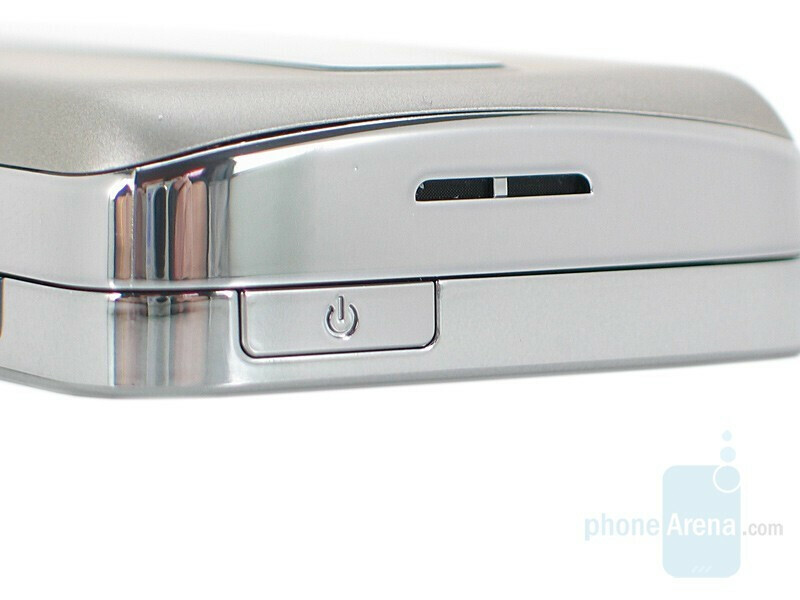 The phone is trimmed in chrome, a move we’re not too crazy about. 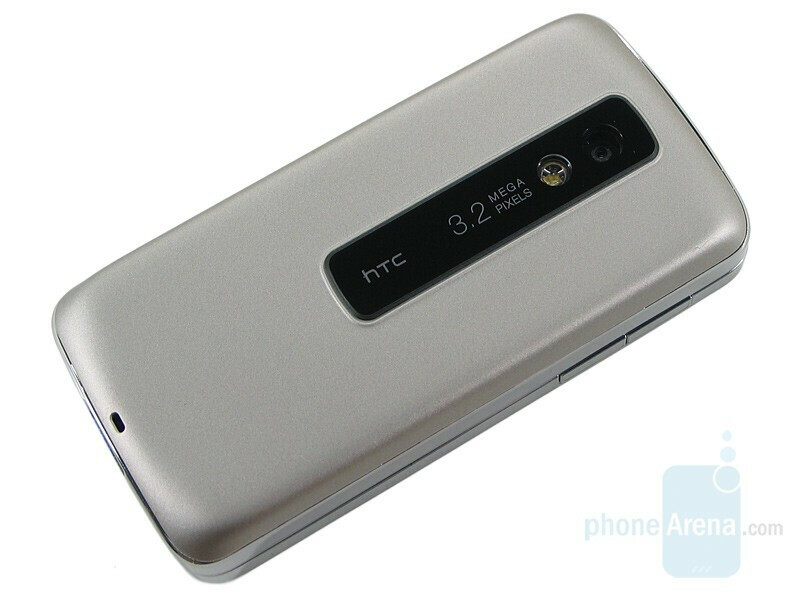 It draws unnecessary attention to the device, and goes against the understated design language HTC has moved towards. Furthermore, it is a fingerprint magnet and keeping this device clean is impossible. With glossy being in we’re used to that, but the bright chrome only enhances fingerprints. The finish also makes the device more slippery, especially since the chrome finish encompasses the whole side, unlike the Diamond whose soft-touch battery cover wraps around the sides of the phone. The volume rocker is on the left side and is a bit loose, causing a rattle when the device is shaken. The only other button around the edges is the power button up top. Next to that is the cutout for the Pro’s single speaker, which is not as impressive as the Diamond’s. 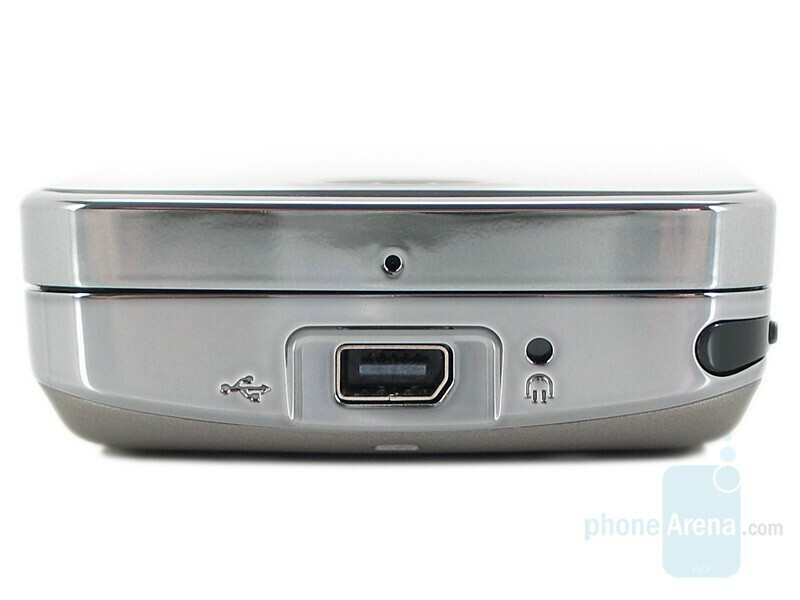 The miniUSB charging/data/headset port is found on the bottom of the device, thankfully next to a reset button. Like the Diamond, the Victor-style battery door is used instead of the original faceted back. It is dull silver and coated in soft touch. 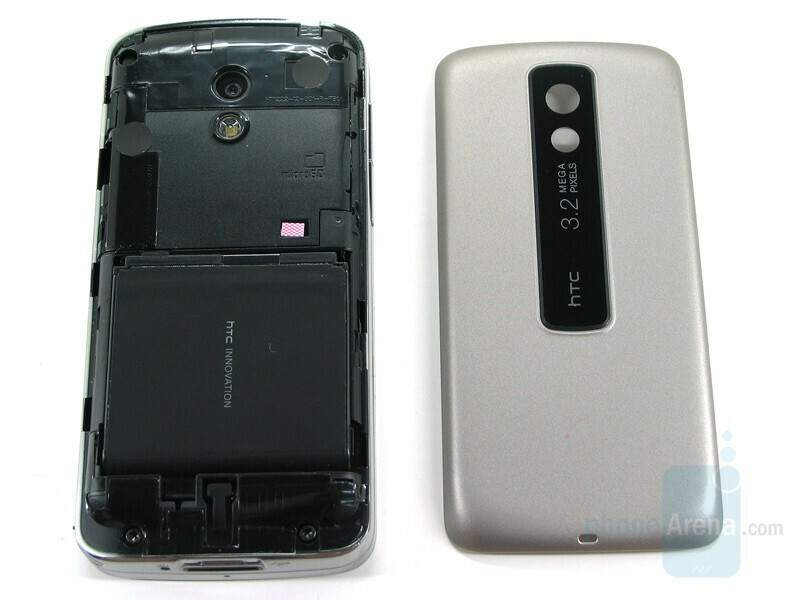 The 3.2 megapixel camera and flash sit near the top, encased in black housing. The stylus is still held in magnetically, and removing it will wake up a sleeping Pro. 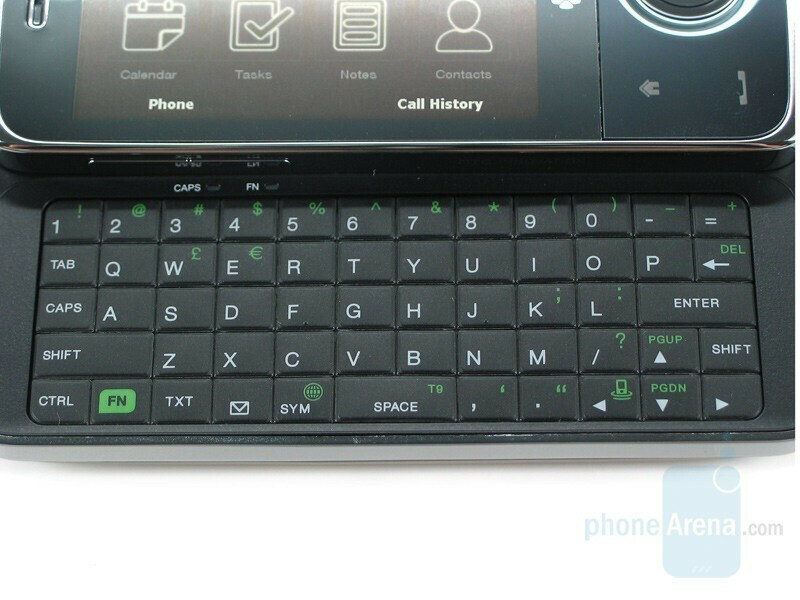 The phone slides open to the right to reveal a 5 row QWERTY keyboard identical to the GSM Pro. The slide is a bit heavy with a touch of drag, but we have a feeling that will work itself out after some use. The keys, though a bit small, are very easy to type with and we enjoyed the slight rubbery feel. Though not staggered like the G1’s keyboard, the Pro offers a desktop-like feel with its key layout and dedicated number row. A nice touch is the Caps and FN status LEDs; like a computer they light up to indicate when these modes are active. We also appreciate the dedicated TXT and email keys, and FN key access to the web. Despite being similar on paper, the Pro feels much bigger than the Diamond in hand. Its chrome finish also feels cheaper, and overall we were somewhat surprised with the build quality. 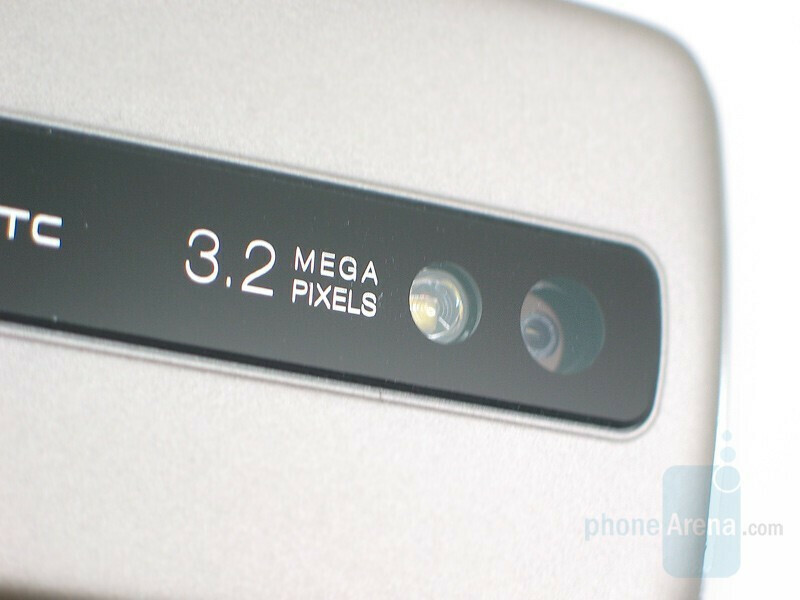 It’s not that we feel the device is poorly constructed or that it will run into issues down the road, but the Pro just didn’t live up to the high standards HTC has set for themselves. If the Pro had the Diamond’s stainless steel frame we feel it would be much better. 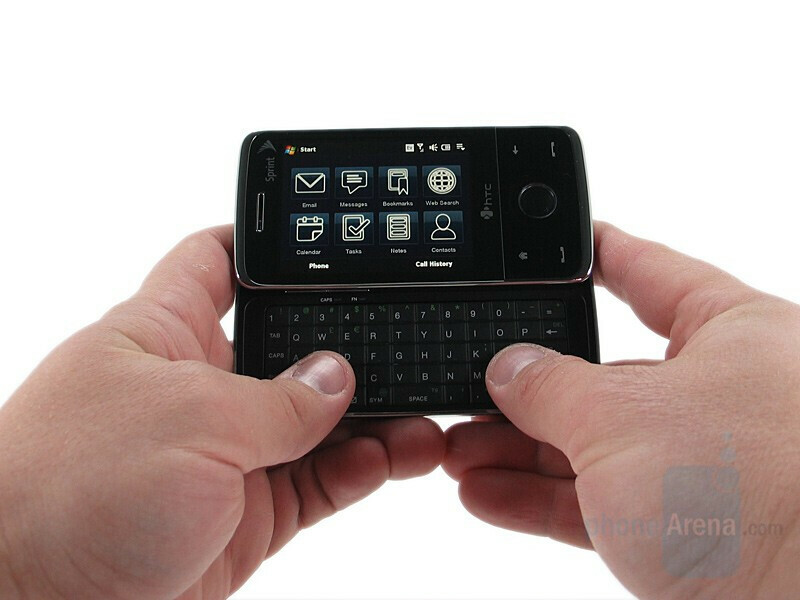 Still, it is a very nice device and those looking for a QWERTY keyboard won’t be disappointed.